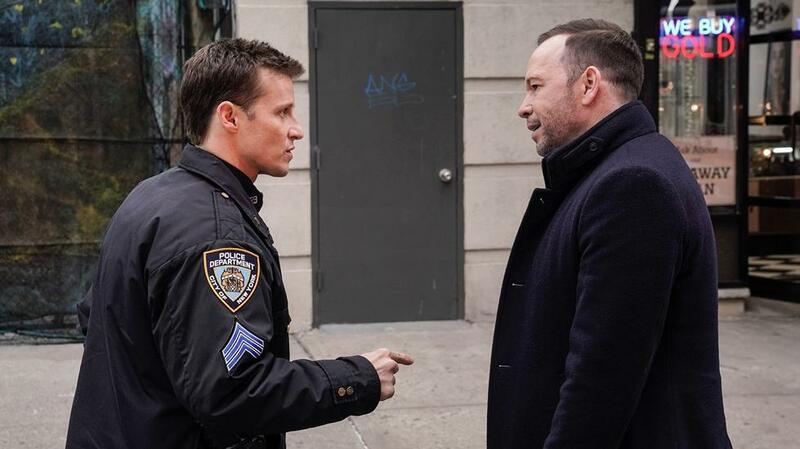 Related Blue Bloods video – Check out more information on tonight’s episode at the bottom of this article! Also, remember to subscribe to CarterMatt on YouTube for more and be sure to take a look at our playlist. At the center of tonight’s episode were Jamie and Danny Reagan, who got into a major dispute over an incident in the field. Danny disobeyed an order, even if he did it for the right reasons. This led to Jamie filing a complaint against him, and it appeared as though the two parties were in a position where they would have to go to the hearing. The problem ultimately escalated, as the story ended up leading to a point where the two were fighting at the family dinner table and even went to the site of the hearing. Danny and Jamie almost went through with taking their feud public, specifically besmirching their family name. Why? Neither wanted to back down, and it was at that point Henry showed up and gave the two some perspective. Danny did was right to have followed his instinct, even if he was in the wrong when it comes to Jamie. Both had some things to be remorseful over but, when the dust settled, they decided that taking the complaint to court wasn’t the right way in which to handle this. To be specific, she wanted to make sure that a guy she knew didn’t get his scholarship taken because of a supposed crime he did not commit. This is why they went to Erin. She was a good person to help, but what she didn’t realize at first was that this guy was more than just a friend. She blindsided Erin with the case, and Erin later blindsided Nicky by showing up at her apartment. She was able to help, but maybe the two learned a thing or two about crossing various lines in the process. This was someone who was clearly suffering in the midst of a shooting that transpired — the trauma was hitting him hard. He separated himself from the people he loved and by the end, he threatened to take his own life. Frank was the one who ultimately talked him off the ledge, making it clear that he could help him. This was one of the better performances that we’ve seen from Tom Selleck this season, as he was able to see the humanity in this past and give him a chance to move forward in his life. Frank’s relatability, even from the top of the NYPD mountain, does make him good at his job. Overall, this episode of Blue Bloods was entertaining, mostly because of the fact that it was different. We got a great Jamie – Danny story, two family dinners (including a make-good one at the end with a giant sandwich), and Erin and Nicky found a way to establish boundaries and what’s important to the two of them. Related News – Be sure to preview what is coming up next!